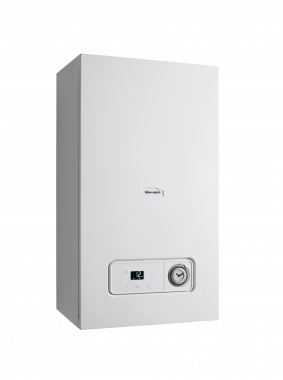 The Essential 28kW Combi Gas Boiler is a condensing, wall mountable unit that comes with a variety of features and benefits. Manufactured by Glow-worm, they’re designed this unit to save space and be simple but smart in design. An output rating of 28kW makes the unit perfectly suited to medium-sized homes that don’t have such an excessive demand for heating and hot water. It’s also available with a lower output of 24kW which help to make it more suitable for smaller homes. It comes with a 92% efficiency rating which gives it an ErP A rating. Fitted with many features and benefits such as it being compatible with the full range of Glow-worm controls flues and accessories, it has a modulating grundfos pump which helps to reduce energy use and save you money. Thanks to being lightweight, the installation is made easier which helps save time and money on installation costs. It comes with an aluminium heat exchanger helping to provide great performance, it has an easy to use LCD interface display that’s easy to read and gives you full control over the unit. As this is a Combi boiler, it’s ideal for the smaller properties or homes where space is limited as they don’t require an external water tank or cylinder, everything is wrapped up into one cost effective unit. Featuring a 3 year warranty, you’ll be handed peace of mind for a long time after the installation.